Today is my first day of starting my Invisalign treatment. The trays are in. Earlier today, Sarah (a team member at Sugar Fix Dental Loft) placed small attachments on my teeth through a bonding process, and will be taken off at the end of the treatment. The attachments are placed to help with the movement or rotation of the teeth in need. These attachments are clear or tooth-colored so they are not noticeable at all to anyone. Once they are placed, they are polished so they feel smooth. The attachments feel weird to your tongue for a few days, as there are little notches or bumps on your teeth from the attachments. However, they are easy to get used to. Once everything is feeling right with the attachments, it is time to try the trays in. It is easiest to start in the back with your molars and work your way around the arch to the other side of your mouth. The easiest way to get them off is from the outside molar using your thumbnail to hook the tray. The trays are very tight initially so they will need a lot of help coming off. This is why it is important to practice taking them on and off several times before leaving the office. We want to make sure you are more comfortable with the trays. At first I did not feel any soreness with the tray, but a few hours into it I started to. I took Advil right away and was fine. The first few days are the trays are the tightest so it is very normal to experience some discomfort. I will be updating in six weeks about the treatment and progress! 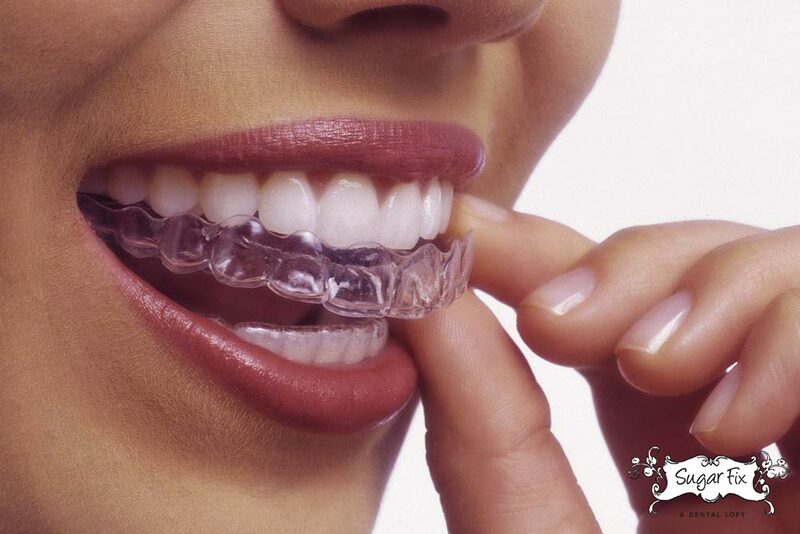 Call us at (773) 883-1818 or email us to get started with your Invisalign treatment.